On 15 December the Latin American Herald reported that the founder of a Chinese civil rights group known as the New Citizens’ Movement has been formally charged with disturbing public order and could face trial this month. The charges against Xu Zhiyong, whose group promotes upholding the Chinese constitution and reigning in the power of Communist Party leaders, were filed at the recommendation of the Beijing police, according to the China Human Rights Defenders organization.Dissidents who attempt to mount protests in China are frequently charged with disrupting public order. Xu’s attorney, Zhang Qingfang, said it was suspicious how quickly the prosecutor’s office filed the charges after receiving the police’s recommendation, adding that authorities may want the trial held over the Christmas holidays so there is less international media attention. Beijing police said Xu, who was arrested in August, “used tactics to organize and carry out a series of criminal activities, including distributing prohibited pamphlets in public places and organizing disturbances outside government installations.” The charges against Xu come shortly after another activist from that same movement, high-profile businessman Wang Gongquan, pleaded guilty to “disrupting public order” a few months after his arrest. The former close associate of Xu’s said he would cut ties with the founder of the New Citizens’ Movement, the South China Morning Post reported earlier this month, citing two sources familiar with the case. via Latin American Herald Tribune – Chinese Prosecutors Charge Activist with Disturbing Public Order. (c) Bao Fan/ Imaginechina, file Venture capitalist Wang Gongquan is seen in a file photo from December 2009. Eric Baculinao, NBC News Producer informs us that in a crackdown on dissent ahead of a Communist Party gathering next month, Chinese authorities on Sunday formally arrested a billionaire venture capitalist who has turned his wealth toward supporting human rights issues. The detention of Wang Gongquan, who was held on suspicion of disturbing public order, sends a strong signal that China’s new leadership will not tolerate any member of the rising entrepreneurial elite using their resources to agitate for democratic reform. Gongquan, 52, who made a fortune from real estate and investment management, is one of the first Chinese billionaires to cross a “red line” that forbids the ascendant entrepreneurial class from challenging the Communist party’s supremacy. Wang is known to be a supporter of the New Citizens Movement, a loose association of professionals and other urbanites advocating free speech and other rights enshrined in China’s constitution. The group, which occasionally organizes dinners to discuss national issues, is also calling for greater government transparency and disclosure of officials’ assets. “I admire Wang Gongguan’s integrity and courage, but he might have crossed the ‘red line,’” said Hu Xingdou, referring to the unwritten rule that China’s rising business class should not engage in political activism. 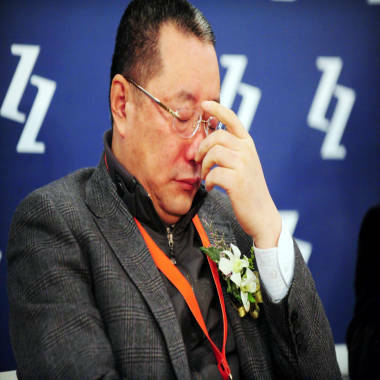 via Chinese billionaire arrested for crossing red line of political activism – Behind The Wall. With all the attention now focussed on Chen Guangcheng, the blind legal activist, this article of 21 May by Peter Ford, staff writer at the CSM, is most welcome. It describes the extremely difficult circumstances under which lawyers and legal activists have to work, explaining the difference between the two categories. It starts with describing the case of Jiang Tianyong, who went to visit his friend Chen Guangcheng, soon after he had emerged from the US embassy. Last year, as authorities cracked down on lawyers in the wake of the Arab Spring, Jiang “disappeared” for two months. He was “taken to some secret places, beaten, criticized, and brainwashed” by police officers, he recalls. Landlords have bowed to official pressure and evicted him five times from different homes, Jiang says. He has been subjected to several periods of house arrest; his wife and children have been harassed; guards have sealed his front door shut; and once, in a particularly petty act, they locked his wife’s bicycle, he says. And he lost his license to practice law in 2009. When lawyers are beaten, “disappeared,” or jailed, their plight generally attracts wide attention. Far more often, though, says Wang Songlian, a researcher with the Hong Kong based China Human Rights Defenders, it is “unqualified” legal advocates – such as Chen – who are abused for taking cases the government regards as sensitive. “There are probably dozens of them in jail, most of whom are not well known,” she says. Qualified lawyer’s status gives them a measure of protection, but they are vulnerable to all kinds of official pressure. Crucially, they are obliged to renew their licenses with their local bar association each year – a hurdle Jiang failed to surmount in 2009. This means most lawyers pay attention when the Justice Ministry or the bar association issues “guidance” or “opinions” that they do not take sensitive cases, or that they handle them in a certain way, says Eva Pils, a legal expert at the Centre for Rights and Justice at the Chinese University of Hong Kong. If they don’t, she says, the authorities often warn the head of a recalcitrant lawyer’s firm that his business risks trouble. “At the point when it is felt that neither the Ministry of Justice nor the bar association nor a lawyer’s firm can control him, the security apparatus gets involved,” Professor Pils says. In 2008, the judicial authorities proclaimed the “Three Supremes” doctrine, according to which judges were told to uphold the cause of the Communist Party, the interests of the people, and the Constitution and the law, in that order. Earlier this year, the Justice Ministry published a regulation requiring newly licensed lawyers to swear an oath of loyalty to the party. Despite the difficulties he and his colleagues face, Pu is optimistic. “Though the authorities would like to control the situation, society is getting more open, and I think it will continue to do so,” he says.